As residents of the Sherwood Park and Edmonton areas we get to know all too well how the winter months are associated with poor driving conditions, resulting in an increased risk of collisions. It is important to change your tires before the harsh Alberta weather hits so you can continue to drive as safely as possible when going to work or school. Winter tires are made of special compounds and specific tread designs to ensure high grip on icy or snowy roads, providing a leg up against the unfavorable conditions. 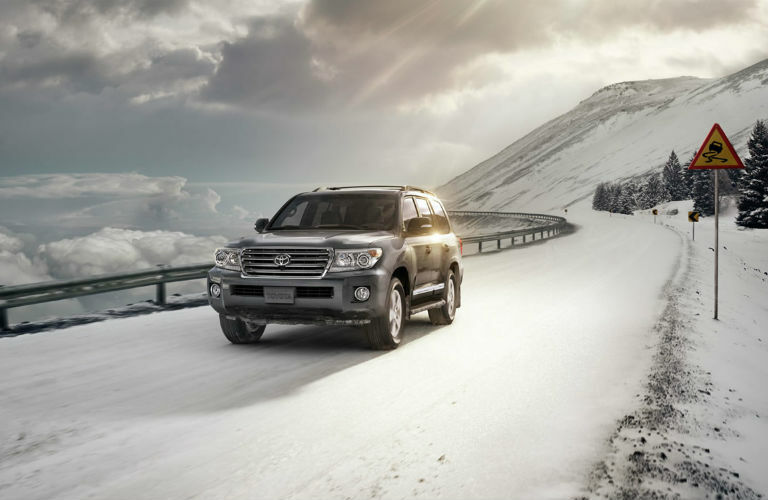 Now is the time to start preparing for winter – get your winter tires today at Sherwood Park Toyota. Winter tires may look similar to summer or all-season tires, however they are engineered specifically for the temperatures and conditions of winter. Winter tires are made of a soft compound in order to keep their grip in cold temperatures. They also contain more rubber and silica (which acts like sand) to make the tires flexible yet sticky. Studless tires contain crystal-like particles that act as studs for extra grip on ice. Another advantage of winter tires are hairline cuts in the tire treads called siping. The siping acts to grip snow and ice while displacing water. Finally, the aggressive tread on winter tires is designed to maximize traction and push snow out of the way, making braking up to 50% more effective. For the most extreme conditions, you can get metal studded winter tires that perform even better than regular winter tires on wet and rough ice. Living in a country such as Canada where winters can promise to be long and harsh, “all-season” tires aren’t really appropriate for all seasons. Although all-season tires are designed to handle both wet and dry conditions, they are made of a harder compound that loses traction at temperatures below 7°C. When it comes to the tread patterns, all-season tires are designed to enhance comfort and reduce noise in warm weather. However with heavy snow, the treads become clogged making the tires slippery and subsequently unsafe. How long should I keep my winter tires on for? It is recommended you keep winter tires on until temperatures are consistently above 7°C. For us Canadians that typically translates to taking them off some time during March or April – when we are lucky. Can I store my all-season or summer tires at your store? 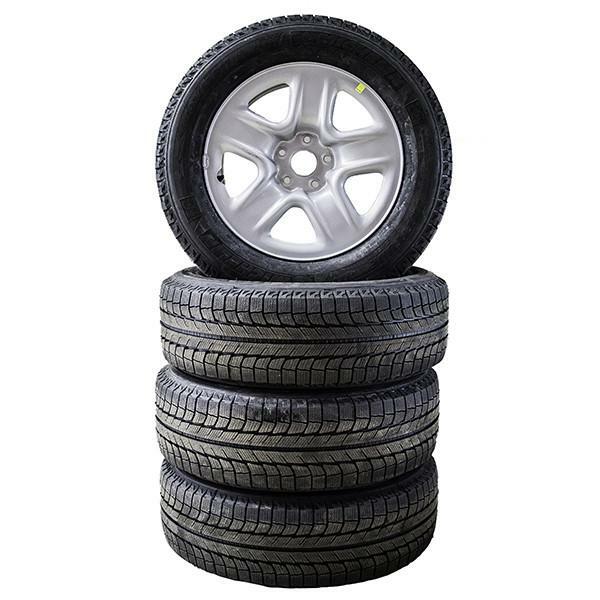 Yes, you are welcome to store your all-season or summer tires with us during the winter season for your convenience. For more info call our Parts department to arrange this, 780-410-3814 or toll free at 1-888-419-6990. Can I just replace the two front or back tires? 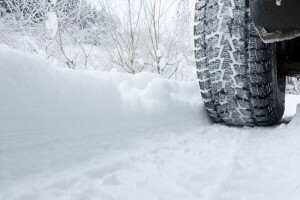 You should replace all 4 tires when switching to a winter tire regardless if your vehicle is front-wheel-drive, rear-wheel-drive, or all-wheel-drive. Transport Canada notes that without changing all 4 tires, you can expect unsafe handling and dangerous stability issues. Do I need to get a wheel alignment when changing to a winter tire? Nope! If you wheel alignment in general, a winter tire swap is a great time to perform one – but you’ll never have to perform an alignment due to a tire change. It’s supposed to be a mild winter. Will all-seasons work? Unless it’s forecasted to stay above 7°C all winter, no. Remember, winter tires are significantly more effective even on dry clean pavement than all-season or summer tires due to the rubber compound. Winter tires are best. How can I be sure I have a real winter tire? Look for the Snowflake Mountain Symbol on your tire. It’s the Tire and Rubber Association of Canada’s guarantee it’s passed safety standards. 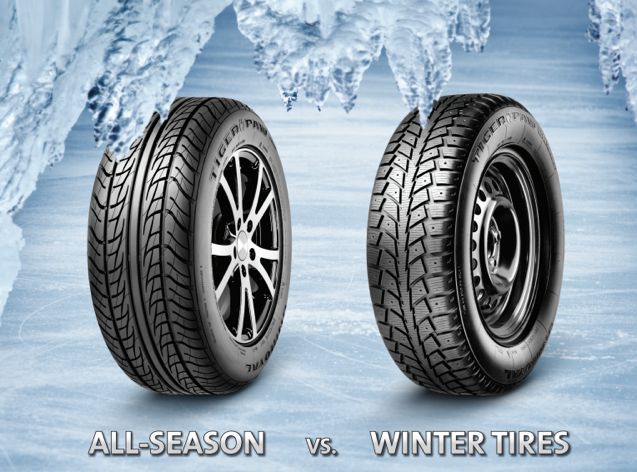 Knowing the difference between winter and all-season tires is important so you know if you need to change your tires. While all-season tires lose grip below 7°C, winter tires are made of a softer compound for ultimate traction, even at freezing temperatures. An aggressive tread design and siping further help grip the snow and plow through slush, keeping you and your passengers as safe as possible during the cold months. Get your next set of winter tires at Sherwood Park Toyota today, you can find us at 31 Automall Rd, Sherwood Park, AB T8H 0C7 where our expert Service Staff will be able to assist you in finding the perfect set of tires for your vehicle. If you have any questions concerning winter tires or staying safe in your car this winter, give us a call at (780) 410-2455.